I think Christians tend to put "worship" in a box that consists of singing songs of praise, or praying. The [practically] exclusive context in which I hear the word "worship" used, is in reference to singing. I just want to start talking about worship in a context that is more inclusive of what it is: a lifestyle. Serving others, praying, singing, preaching, working, learning, breathing! Everything done to the glory of God and in acknowledgement of His presence, grace, and love is worship. 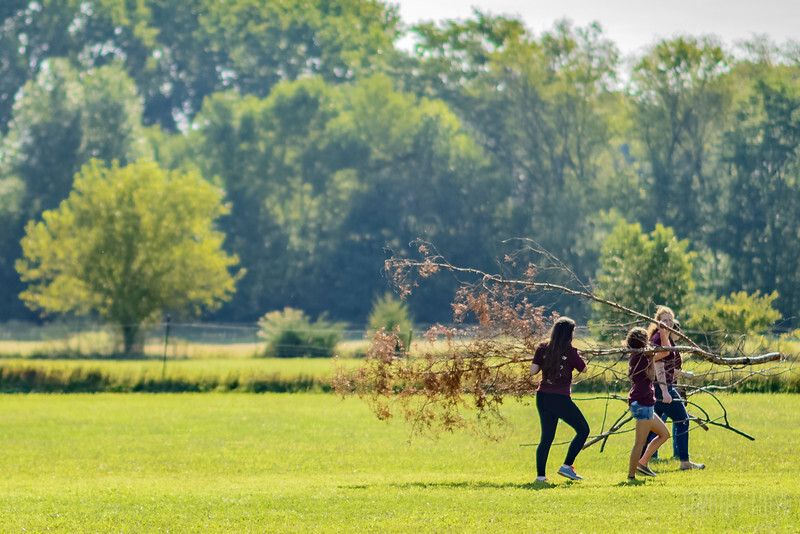 Today was Project Impact at Union College, and something like 750 people gathered on front campus before going into the community to serve. I think it is my favorite call to worship that our entire campus takes part in. We literally shut down the campus and worship God through serving the community for about 5 hours in the morning. I'm not super satisfied though... this is an aspect of worshiping God that needs to be more prevalent in Christian churches and organizations. I firmly believe that the reason more people don't know, believe in, and worship Jesus is because all they see is some singers, preachers, and church-goers, but not enough people who are making the world a better place. I have never been super involved in outreach, or community service. I need to. If I'm not doing what I can, when I can, to make the little corner of the earth I live in a better place, then I'm not truly being a Christian. I just wanna worship. So I'm gonna. Starting tomorrow on my way to work. I'll listen to this. Then I'm gonna work, and I'll do my best to glorify God there! What are some other tangible ways to worship? PS this was done yesterday but didn't get posted. Twice in one week I've missed now. I asked Morgan tonight, "Why did I choose blogging to do every day for a year?" Last night, after Union College's first home volleyball game, Morgan and I drove to Hutchinson, MN to 1) see my new nephew Lincoln and to 2) tell Maplewood Academy students how to make smart decisions for their futures (like going to Union College). Around 12:20am we passed the state sign for Minnesota and it felt so wonderful. There's nothing quite like the place that you grew up. So I got to meet little Lincoln (more on this tomorrow--he gets his own day), and then I went and shared this handout with all the students. This is my favorite piece to share with prospective students, teachers, parents, and pastors because it is what keeps me passionate about my job. Sorry its blurry. If anyone wants to show me how to include a PDF, let me know. There is a difference that is made when you choose an education that is tailored towards a life of service to God and our fellow earthlings. 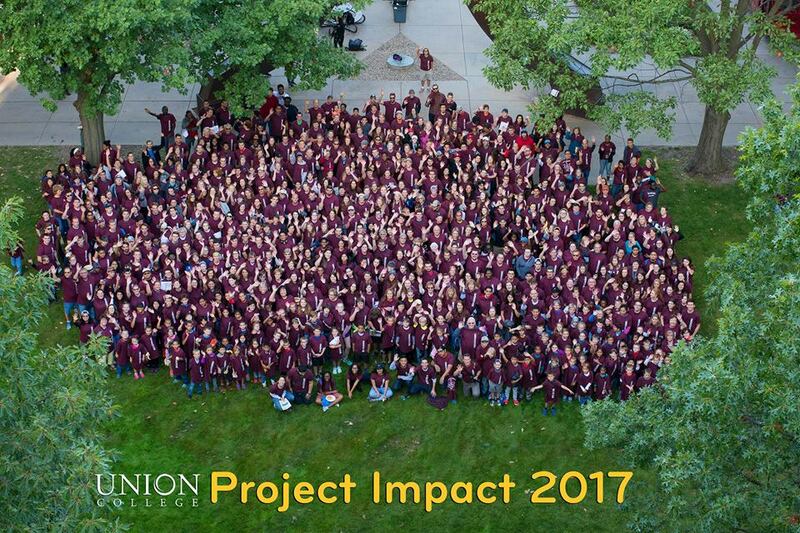 Next Thursday, September 7, is Project Impact at Union College. 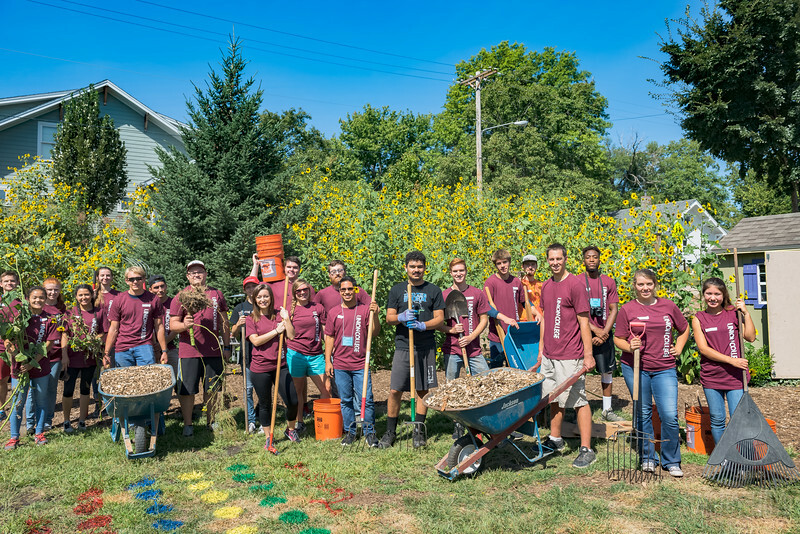 Project Impact is the longest running annual community service event by a college/university in the country. That is a mouthful... but its true! Something like 30 years now Union has been cancelling classes one day a year and spreading throughout Lincoln, NE to serve the community. I believe worship is a lifestyle, not just an act that you perform once or twice a week, and serving others is an act of worship (Matt 25:40). So this year, to close out this campus wide day of "worship", we're going to come together and invite the community to continue worshiping with us in praise. Day 45: Don't "Blair Walsh" This! Ironically, the thing I've written the least about the past 45 days is probably the thing in my life that dominates the most of my time and energy. I'm surprised when I read those words, because honestly I can talk for hours and hours about Union College and Christian education (and that's probably why I get paid to). Today was kind of the last day of "summer" for us in the enrollment office. There are already a bunch of students back from whatever their summer adventure was, but tomorrow truly marks the beginning of a new cycle. All year long I recruit new students, pushing a campus visit, giving tours, talking about finances, and sharing my experiences in hopes that some young kid will relate to them in a way that can help him/her make a decision about college. For the past few months, I've been praying and hoping that enough of them end up deciding to come to Union that we can actually grow (which is unusual in Adventist higher education right now). Needless to say, I'm praying for a game winner at Union College. I know I will write again sometime about the various reasons I will support Union and Adventist higher education 'til I die, but in the meantime just know that the college deserves a win and I hope that our enrollment team can give it to them.